While we are hours away from learning the entire Philadelphia Eagles 2018 regular season schedule, we now know the full details on one game. And this is definitely an away game. It was already announced earlier this year that the Super Bowl Champion Eagles will play the Jacksonville Jaguars in London as part of the NFL International Series. On Thursday, the time and date were set. The game will take place at Wembley Stadium on October 28 at 9:30 a.m. It has been determined that this will be a home game for the Jaguars. Tickets for the game go on sale May 1, according to NFL UK. Tickets for the two @wembleystadium games on sale 1st May, 10am. 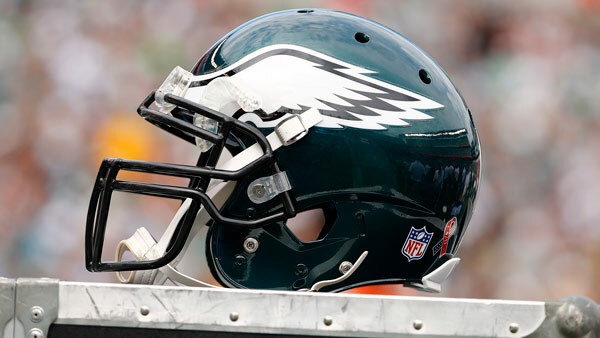 This will be the Eagles' first-ever regular-season game overseas. Two other games will played in England in 2018, the Seattle Seahawks vs. Oakland Raiders and the Los Angeles Chargers vs. the Tennessee Titans. The NFL will release the full 2018 regular-season schedule on Thursday at 8 p.m.